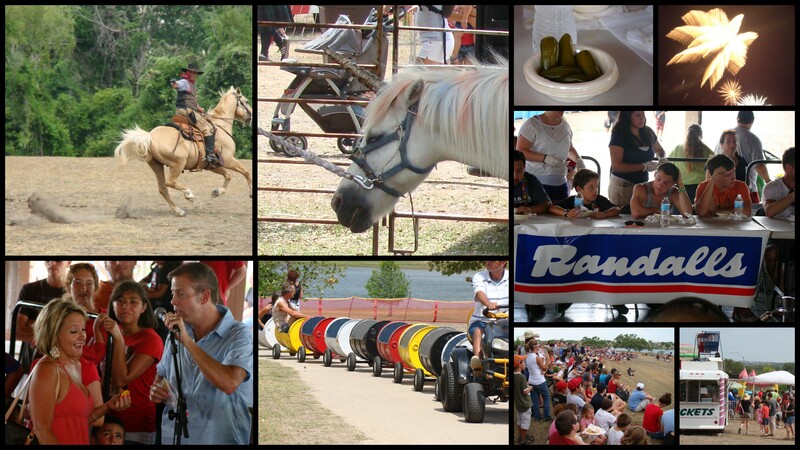 For my first 4th of July in Texas, we headed up to Round Rock for their Frontier Days celebration. Yes, there were lots of places to choose from, but only Round Rock promised a chili pepper-eating contest and a historic shoot out! After that we headed over to the food area for a snack before the Sam Bass Shootout. It was a great chance to learn a little bit of Texas history and chill (okay, so that’s relative on a 100+ degree day!) in the shade and watch a performance complete with some beautiful horses and impressive riding. There were kiddie rides, vendor booths, a track-can train (seriously!) and even a unicorn in the pony ride area! It’s kid and family friendly, but dogs aren’t welcome at this normally dog-friendly park on the 4th. It was a great day, but some lessons were learned for next year. First, bring water. LOTS of water! And maybe a parasol, too! Vegetarians will probably want to pack a picnic…the meatless offerings were slim. Also, do NOT leave the Festival in the afternoon and plan to return later in the day for the fireworks. The wonderfully easy drive in and parking we had at noon was a nightmare at 7! Bring chairs, lunch and drinks and find a spot in the shade somewhere in the park to relax between the festival and the fireworks. The stress (and gas!) it will save you will be well worth it! This entry was posted in F is for Festivals, K is for Kids, O is for Outdoors, Z is for Zip Out of Town and tagged festivals, history, holidays, round rock, summer. Bookmark the permalink.